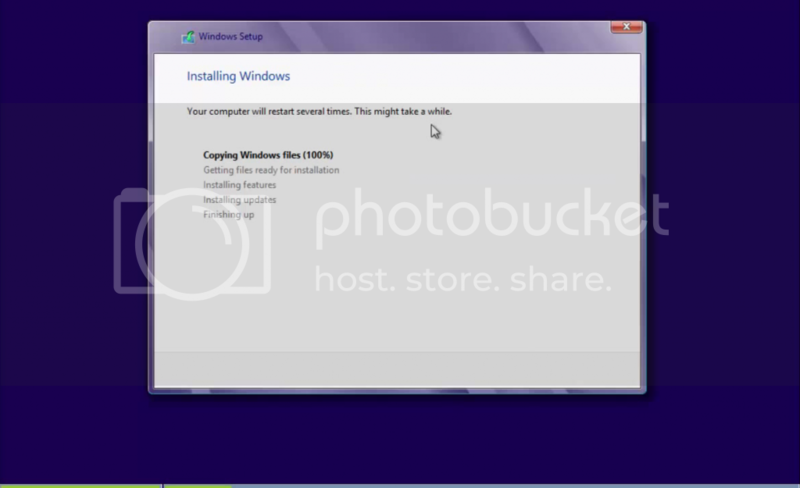 The Installing Windows window should look like this. 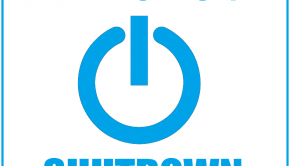 After this is over, setup should restart the computer, and continue installing Windows. When the computer boots-up, you should see the Personalize screen. 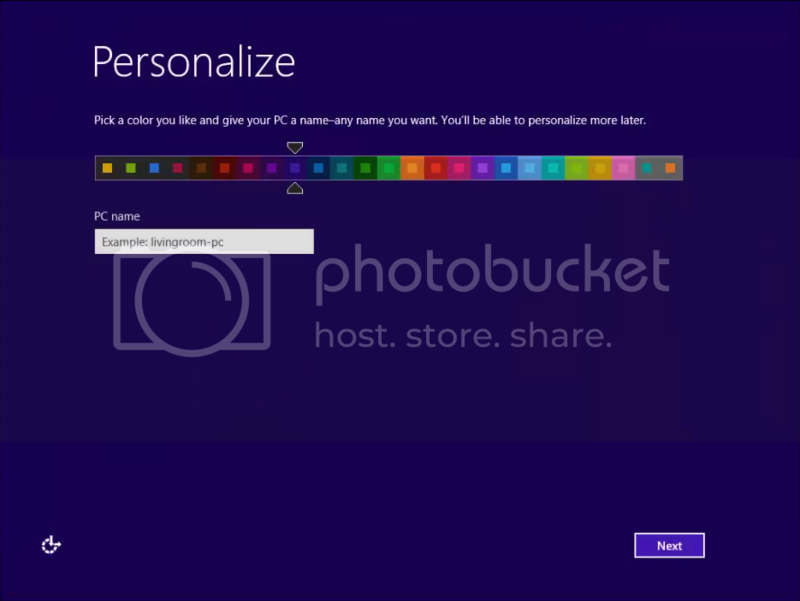 Choose a color, and give your PC a name, these settings can be easily changed later on. Click the Next button to continue. In the Settings page, you can change some Windows settings. These settings can be changed later as well. 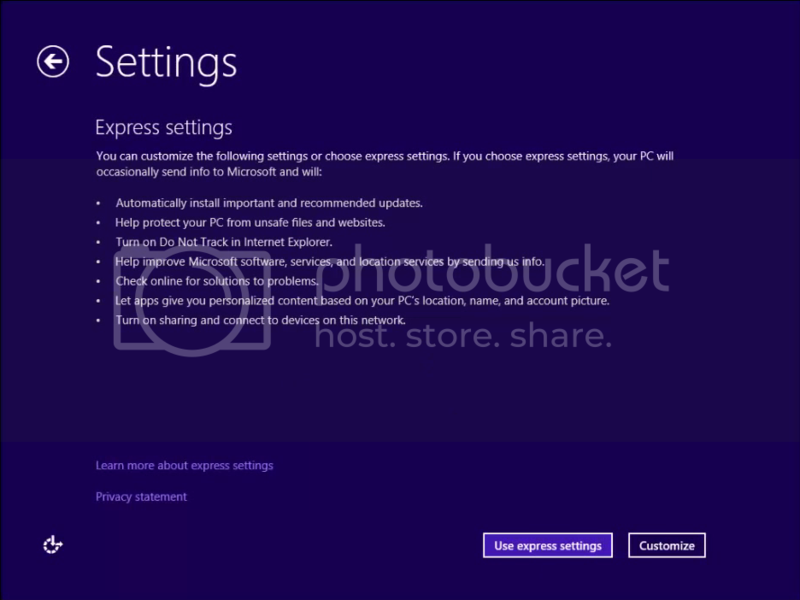 You can choose to use Express Settings, or Customize if you want. To use recommended settings and continue, click the Express Settings button. 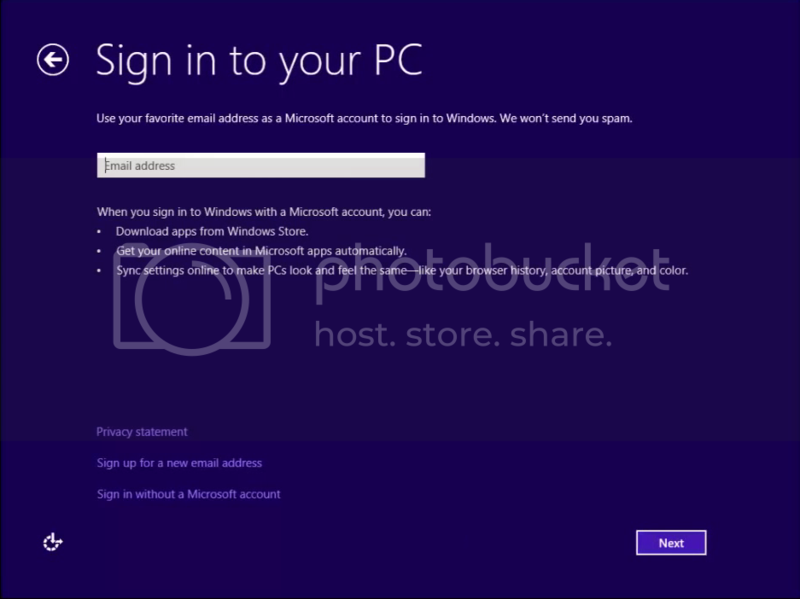 To Sign in to your PC, choose an email address to use with Windows 8, and then click Next to continue. You will need a Microsoft account for this. You already have a Microsoft account if you have used Hotmail, SkyDrive, Windows Live Messenger, Outlook, Xbox Live, Zune, or Office Live. 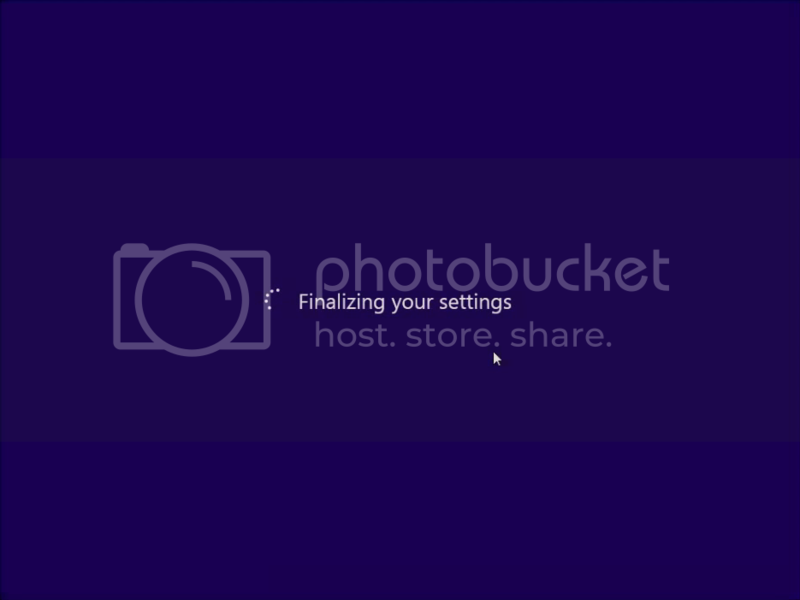 After that screen you should see an animated intro to Windows 8. 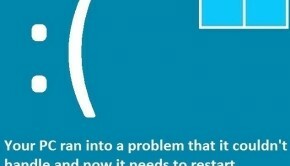 This animation explains some of the new interface built-into Windows 8. This could take a few minutes. 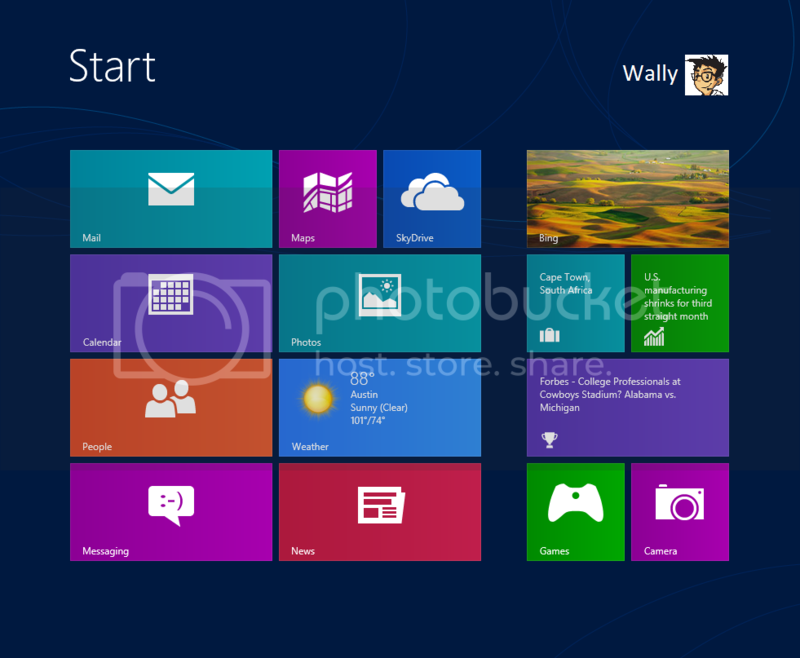 The Windows 8 Metro start screen is the first thing you’ll see when you log-into Windows 8. It is used to launch applications, search for files, and to perform other tasks. The tiles are capable of showing real-time information such as time, weather, and various software notifications. 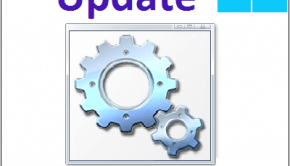 Once Windows is installed, you will probably need to install the latest device drivers for your computer. These may include Audio, Video, and other drivers. 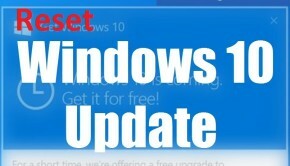 You should also install maintenance software to run automatic malware scans, tune the registry, and remove temporary files to make sure your Windows installation keeps running like new for a long time.